But the question is, is there a free pen?! And...better than any planning book..join The Dibb. Thanks OP I’ve been Florida quite a few times so am pretty happy with what I’m doing, but gonna be taking the misses and other family members who haven’t been, so need something to let them know what’s there.. this is great! We always used to get the DVDs years ago, and I’m surprised they don’t deliver good content via YouTube! 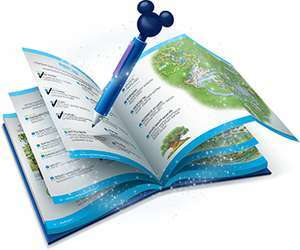 is it a bit of a stretch hoping that Disney pen comes with the brochure too..? I've just ordered an Amex card (can't remember which one) that has an introductory offer of 5% cashback for the first 3 months. So going to use that to buy our tickets, 6 of, total cost is about £2200. I got £5 TCB for the Amex card, £100 cashback on the Amex, then £40 (2%) TCB for the tickets. Not a lot in the grand scheme of things, but every little helps to sweeten the blow of paying for Disney tickets! £145 all in. Thanks for this - have just purchased four tickets for our trip later in the year. For those wondering about doing the same, this best price deal runs out on the 4th February, not the 1st April which is just the Toy Story magic band offer. TopCashBack currently 2.02% and Quidco £15 for ticket sales only. Whats the deal with the free dining options. I was going to book soon but will hold off if this is correct, can yu you let me know more please? You called it right. Adult price is now £395 and child price is £375. These aren't actual tickets, they're 'will call' vouchers you pick up when you get there. However you can just link them to your My Disney Experience account to get your Fastpass booking in advance. Great price going next September and it's the cheapest I've seen it... I paid 379 for the same ticket last year. As people have said before it's better to have the actual ticket upfront so you can book your fast pass 30 or 60 days in advance because if you want to skip the queues for rides in the new toy story land or avatar advanced fast pass is the best way otherwise you'll be in a 3 hour queue. Thought DAS was only available for disabled visitors? how much cashback is it? anyone got an example of dates for the price mentioned cant find anything under 600 for 2 adults one child. I went to Cheyenne &amp; wished I hadn't (along with some other families we ran into). My review on tripadvisor explains why. I can't seem to change the default dates when clicking on your link. No, you need a car as there are not any shuttle busses. Hi, Can this place be accessed with public transport!! Weather irrelevant. Have been before when hot (37 degrees) and been when very cold and wet (February) and have loved all our visits. Not everyone goes on holiday to be a lazy git and sit in the sun all day. Yes. 4 star compared to 2 star. Also, the food package (if you get one included) is the 'plus' version with Newport, which means you get table service meals included - worth it in my opinion. Cheyenne is brilliantly themed but has no pool &amp; isnt as high a standard as Newport which is a lovely hotel overlooking Lake Buena Vista. Cheyenne is 2 star whereas Newport Bay is 4 star. Both are great hotels &amp; our family prefer to stay in Cheyenne &amp; pay less for hotel then put the cost savings towards nice meals or souvenirs as you only really use the hotel to sleep in when you are out enjoying the parks all day. Thank you OP, followed your detailed advice and purchased tickets for our holiday in July. It worked out cheaper to get an annual pass than 4 day tickets with the exchange rate they are giving. Rang the number , pressed one several times until I heard music and got through in about 10 minutes. They said they are sending a temporary pass letter valid for 6 months and we need to take our passports to the office on arrival in Disneyland to get our passes on the day of arrival. Valid for 12 months from that date. When u buy annual passes, all can be used on day of purchase, only the cheapest one (discovery pass) is the one u can’t use on 2nd and 3rd day of purchase. I’ve booked for April for me and my daughter going with a frend and her daughters, we’ve booked offsite hotel and Eurostar. We will use annual passes for 3 full days and 2 half days entry. We are buying the second tier pass and it’s valid on our dates. I will do a trip for a night in the summer with onsite hotel with annual pass discount and then probably 2 day trips or 1 night trips for Halloween and Xmas and even if I don’t its still a bargain. As 4 days tickets cost an adult £169 but annual pass £151. And u can choose where u stay on what trip. The second tier pass gives a good choice of dates. 300 days a year. First tier gives only 150 days a year and has a lot of blockout dates. Unless you are an American, you are also a foreigner. And Anaheim California is the true home of Disneyland, surely? Make sure when you arrive you reserve your tables for lunch and dinner, if you wait they all get booked up. 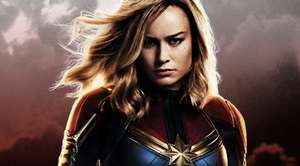 How do you translate that site? Why is this under "computers"? Edit: and "Fashion and restaurants" WTF? Free P&O Ferry Crossing with Disneyland booking. Not a good deal for a family of 5 at feb half term... kids 8 12 and 13. £3500 !! Id rather go to florida !!! Shame that the free ferry must seemingly be on the same day as the hotel arrival/departure. Would ideally lengthen out one leg another day or two. Hot deal indeed. Priced it up for half term weekend and it's still only £900 with one child being 12 so adult price for eating. Do you know where you can eat on the offer as I can't see it? Are there any similar deals available?? Thanks very much OP. Been stewing this over for a while and finally booked tonight (deal finishes today). 20% off and free half board plan... very happy. Fingers crossed on the queues and weather! Disneyland Paris Weekend Stays -40% and up to 12 yo stay for free - € 396 for the family of four !!! Not sure I'd classify staying 1 night, on the Friday as a 'weekend stay'. I took the wife there on a weekend. It was mega busy and I lost her. Bonus . Sorry, The response was to SteveBlackman, thought the video will help in addition to your response. I know. I'm an annual passholder lol. I was just replying to the person who says you can only get 1 a day. If that's the case, great - there's nothing worse than when I went to Legoland and Chessington using the Kellogg's free tickets and it cost far more to "upgrade" to the fast pass equivalents. Suffice to say, as a family of 6, I refused and as we had got there before opening and stayed until closing, the queues were manageable. I do recall in Florida years ago, just using our normal ticket to fast pass etc. plus they had single riders queues at Islands of Adventure, which were super quick (albeit was without young kids). There is no charge to use Fastpass, it's a service that's included in your entry admission price. Question? I understand there is a charge. So not each to their own, or it is what it is. Or whatever pointless phrase people are using these days. Fast pass is free to all? Each to their own I guess. I think they removed that option. You will have to call the UK call center number 08448 008 898 and I think you should still get the deal till 28 March 2017. Your welcome. Please to hear it helped you. Since you have been there many times you would already know the hotels nearby. Hope you have a great trip and your son has the best time there. Bargain Hunter 108 I forgot to say a huge thank you to you for not only pointing out the deal, but more importantly for reporting that Disneyland are planning to massively change prices for their annual passports. Our time in August will be my 20th visit and we always used to buy on the gate as that, for some time, was the only way to get the annual passport. I ordered and received my temporary tickets. I can validate my passport until 12/9/17 so it is 6 months from purchase date. I have an autistic son who loves Disneyland and we use them 3 times during each 365 day period. I know I could get a free carer's pass but then I would have to go every single day to the disabled kiosk and so prefer the lack of hassle (not very frugal I know). Anyway thanks for alerting me and also for pointing me in the direction of being able to get the passport cheaper than the Euro price. Same here. I think the link must have changed. Its now just the hotel booking page in English. When I first saw this post it was a different page in French. Can anyone confirm if and how they have still been able to get the Dream annual pass deal for £170? Paris have been overhauling the past year as it's their big anniversary celebrations next year. I went i june, half board and still had a great time. Not everyone can afford america disney, this is the best you can get for a fraction of the price. I can't wait to go back! ​heard that dlp has improved massively recently. when is your experience from? Can you go there for £58pppn? DLP is rubbish all times of year, more so out of season, even free food isn't enough to tempt! It depends when you go what offer you get, I tried booking next August and got offered 2 days free and U7's free, so £666 for a family of four in summer hols which seemed good. I'd also like to add that my 2 year old son ate free at the buffets. He also loved everything at Disney and I have never seen so much joy on his face when he met Winnie the Pooh. The grin on his face lasted for a week. Ever since Walt Disneyland opened in Anaheim, California in 1955, it seemed inevitable that Europe would be a future business opportunity for the world’s most famous animated film studio. So it proved, with EuroDisney (the first name of Disneyland Paris) admitting its first visitors in 1992. These days, the resort is a fantastic family destination, and this guide will explain how to travel there as affordably as possible. Disneyland Paris first opened in April 1992, after 20 years of location scouting and planning. The eventual venue was found just outside Paris, within easy reach of major train stations and airports – a location that has enabled the resort to become Europe’s most popular theme park by customer numbers. In the 1990s, the resort struggled to break even, but weathered the storm, adding new Disney themed rides and gradually becoming established. The turn around was helped by spectacular new rides like Space Mountain, and rising hotel occupancy rates, as people discovered how well the park was set up for family holidays. By 2008, over 200 million people had visited Disneyland Paris, and annual visitor numbers topped 15 million. 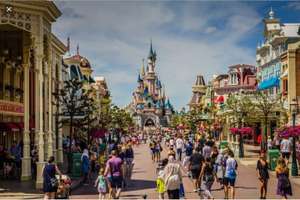 New features have been added, like golf, movie themed rides and transport links, as Disney’s European flagship continues to attract families from all over the continent. Disneyland Paris can be found in the suburb of Marche en Vallee, around 20 miles east of the city centre (see below for more detailed transport information). You can book your Disneyland Paris stay at one of the many The best place to book tickets is the Disneyland Paris at www.disneylandparis.co.uk, where you can bundle together accommodation, access to the park and transportation in one easy package. Disneyland Hotels – Disneyland offers high-quality family accommodation at seven themed hotels. Pick one that fits your kids favourite movies and add all of the features you require for a comfortable stay. Adventureland – An outdoor themed area, featuring rides and attractions like Indiana Jones and the Temple of Peril, Robinson’s Cabin, the Pirate Galleon and Pirate’s Beach. Discoveryland – More oriented towards science and sci-fi, Discoveryland features attractions like the Buzz Lightyear Laser Blast, Starport, the Orbitron and the Autopia go karting circuit. Fantasyland – As the name suggests, Fantasyland is full of elves, goblins, fairies and princesses, and includes attractions like Alice’s Curious Labyrinth, Lancelot’s Carousel and the Voyage of Pinocchio. Frontierland – A Wild West themed area, featuring rides like Big Thunder Mountain, Phantom Manor and the Rustler Roundup Shooting Gallery. Main Street USA – A traditional US town centre, featuring the Disneyland Railroad, shops, places to eat and historic vehicles to ride. Walt Disney Studios Park – A separate section dealing with blockbuster movies, including rides like Meet Spider-Man, the Aerosmith Rock n Roll Coaster and the Twilight Zone Tower of Terror. Toon Studio – A collection of attractions themed around popular cartoons like Ratatouille and Toy Story. Entertainment – Along with rides, guests can head to Disney Village, where they can watch shows at Billy Bob’s, catch a movie at CineMagique, visit the Jedi Training Academy and meet popular characters like Snow White and Mickey Mouse. Sport and relaxation – Play an 18 or 9 hole golf course, book spa treatments, see the animals at the Big Cats Park, go swimming or enjoy pony rides inside the complex. Dining – Disneyland Paris offers a huge variety of dining options ranging from French bistros and American diners to grill houses, bars, cartoon character themed restaurants and burger restaurants like Five Guys. Along with these core attractions and services, Disneyland Paris also offers plenty of special events, from Halloween and Christmas festivals to half marathons. If you want to shave some pounds off the cost of a holiday at Disneyland Paris, you’re in luck, as the resort regularly offers generous discounts. You’ll find them all at the Disneyland Paris HotUKDeals listings, or you can bookmark the resort’s own Offers section and check back on a regular basis. If you book in advance, you may also be able to find Christmas deals. Disneyland Paris makes a point of laying on a spectacular show during the festive season, with the Disney’s Enchanted Christmas entertaining kids like no other European destination. If you want to treat your kids to a memorable break, don’t miss their Christmas offers. Package deals – Save money by bundling together your accommodation, flights or trains and tickets to the park itself. Package deals regularly become available with 20-30% discounts, and can be a great way for families to enjoy the resort at the lowest possible cost. Ticket deals – If you intend to stay elsewhere but still want to visit Disneyland Paris, you can enter cheaply by taking advantage of single ticket deals. Choose single day tickets, or go for multi-day passes, which generally work out cheaper. Annual passes – If you know you’ll be returning to Paris during the year, why not go for an Annual Pass? Passes come in a variety of tiers, with extra features like free parking, VIP seating at certain events and discounts across the park. Booking is simple. Just log onto the site, choose your ticket type and dates, and checkout as you would for any tourist attraction. You can also book over the phone (by calling 08448 008898). This might be a good option if you are strapped for cash, as you can pay a 15% deposit and pay the balance at a later date, an option that isn’t available with online bookings. When you come to finalise your booking with the resort, Disneyland Paris accepts the following payment methods: American Express, VISA credit and debit, Mastercard credit or debit, Carte Bleue or Discovery cards. All bookings are secured via SSL encryption, which should ensure that your payment details remain private throughout the process. Take the Eurostar from London St Pancras, Ebbsfleet or Stratford directly to Disneyland Paris. The whole journey takes around 2 hours 30 minutes. Fly from a range of UK airports to Paris Charles de Gaulle airport then take the Magical Shuttle airport bus straight to your Disneyland hotel. Drive via the Eurotunnel or channel ferries (it shouldn’t take more than 5 hours or so in total). If for any reason you need to cancel a Disneyland Paris (or change the dates), you can do so fairly easily. You can e-mail Disneyland Paris at: disneytraveluk@disneyonline.com. Include your booking reference and the reason for your cancellation, and staff will then get back to you with the next steps in the process. Another good source of updates is the Disneyland Paris forum, where fans of the park get together to share their experiences, ask questions to the customer service team and generally stay in touch with what’s going on at the resort. There’s also a dedicated Disneyland Paris news site, which carries magazine like content, including features about up and coming rides and events. Disneyland Paris have created a handy smartphone app which provides estimated waiting times for the on-site attractions, allows you to make restaurant bookings, stay abreast of entertainment schedules and generally enhance your stay. Download it for iOS and Android devices at the Disneyland Paris site. Phone: 08448 008 898 (9:00-20:00 Monday to Friday, 9:00-18:00 Saturdays, 10:00-17:30 Sundays). There’s also a useful FAQ section that covers most basic questions. Disneyland Paris is Europe’s most popular family theme park and is the kind of destination that will thrill everyone (mum and dad included). If you want to take your family on a Disney adventure, do so as cheaply as possible with the Disneyland Paris discounts at HotUKDeals.